Download Automobile Coupon Voucher Template PSD. 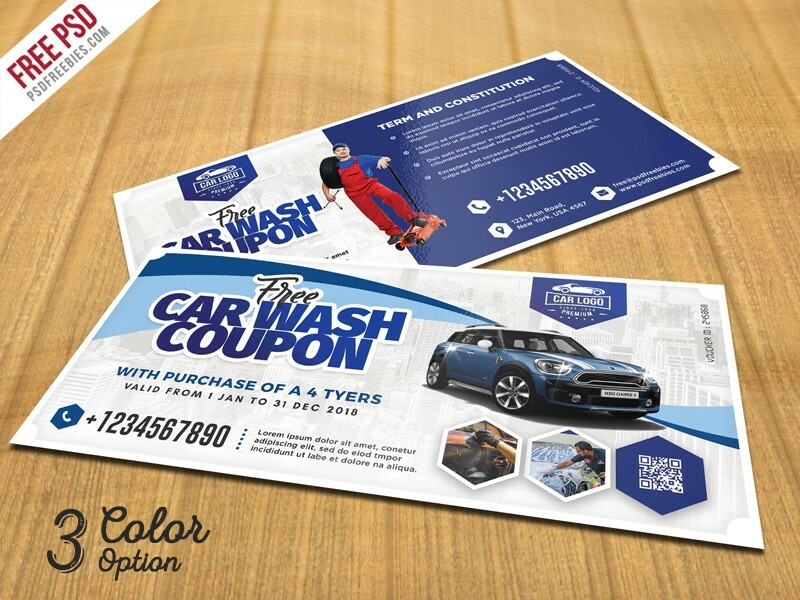 This Coupon Voucher template which is specially designed for car wash & auto detailing services. It can also be used for any other business, product or services like fashion store, apparel sale, cosmetics, boutique, food restaurant etc. This Automobile Coupon Voucher Template is great for promote your car repair services and help you attract more customers. This Car Wash Coupon Template PSD is designed in adobe Photoshop and it is available in 3 different color variations with total 6 PSD files (Front and Back) and layers are fully organized and structured so that you can easily customise and edit quickly. Hope you like this Free Automobile Coupon Voucher Template PSD. Enjoy!